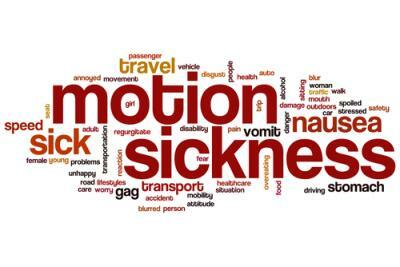 There has been some interesting research on motion sickness recently. The traditional explanation for seasickness focuses on the mismatch between the perception of motion and actual motion between our various senses, causing a reaction in the inner ear. For example, the body may feel it is comfortably sitting in a car seat, yet the inner ear says it is careening down the Autobahn at 100mph. A new study adds the idea that external motion altering the body's typical balancing motions is another factor. If the body typically flexes certain muscles resulting in tiny balancing motions in order to stay upright, the motion of a boat or car throws those motions off and nausea can result. Bankers are watching the motion of regulatory changes over the past few years and most have certainly experienced nausea from it. We are in the first months of Basel III now and bankers are getting ready to file their first call reports using the new rules. Capital is the focus of Basel III of course and this differs from the previous two Basel accords which focused more on loss reserves. While the biggest effects of the rule will probably come when the Capital Conservation Buffer kicks in beginning in 2016, some changes are immediate, including the new risk weightings. We thought we would review some of the new elements. Common Equity Tier 1 (CET1) is made up of common stock (plus related surplus) and retained earnings, less the majority of regulatory deductions (including items like goodwill, gain-on-sale associated with a securitization exposure or defined benefit pension fund net assets) and must be at least 4.5% of Risk Weighted Assets. Regulators have increased the Tier 1 capital requirements from 4% to 6%. In addition, fewer items now qualify under Tier 1. This shift has resulted in a new definition of Tier 1 capital: CET1 plus non-cumulative perpetual preferred stock. There is no change to the Total Capital Ratio requirement of 8% or the leverage ratio of 4%. The Basel III rules also make regulatory capital measurements more risk-sensitive, as the final rule increases the risk weighting requirements for certain assets. Regulations currently require 100% risk weighting for all commercial real estate (CRE) loans and for most loans that will remain the same. However, for the newly-created CRE subset of high-volatility CRE (HVCRE), the requirement will increase to 150%. Finally, Basel III zeros in on 90 day past due exposures and non-accrual loans which will also require 150% risk weighting. Past due loans had previously not required any change in risk weighting. While it is still a ways off, banks should prepare for the implementation of the Capital Conservation Buffer, which is composed of Common Equity Tier 1 (CET1) capital and should be at least 2.5% of risk weighted assets. This buffer is in addition to the minimum CET1, Tier 1 capital and total capital and if a bank is short of the 2.5% level, regulatory limitations kick-in on distributions and discretionary bonuses. Banks should consider what could happen to their capital levels if the implementation of the buffer were to coincide with an economic downturn, and when considering scenarios for stress testing and future capital planning, should carefully analyze what could happen to the bank's capital levels in that circumstance. Treasury yields rose 5bps as large corporate debt issuance exerted price pressure upon the safe-haven asset. Yields are up 2bps ahead of auto sales numbers. 1) Pacific Western Bank ($16B, CA) will acquire Square 1 Bank ($3.1B, NC) for about $849mm in stock. 2) State Bank and Trust Co ($2.9B, GA) will acquire insurance agency Boyett Agency (GA) for an undisclosed sum. OCC Comptroller Curry said in a speech that BSA/AML "are growing in urgency" and that banks of all sizes need to understand the nature of such risks and their obligations. He indicated cybersecurity and BSA/AML are "increasingly converging." He said the OCC has focused on risks around third-party relationships and demanded that banks devote adequate resources to BSA/AML compliance. Curry said bank risk assessments should "take into account all the products and services they offer, as well as the customers and geographies they serve." Morgan Stanley said it will pay $2.6B to the DOJ to settle residential mortgage backed securities civil claims. MetLife Bank will pay $123.5mm to settle allegations it knowingly originated and underwrote poor quality mortgage loans that were insured by the FHA from the years 2008 until 2012. The National Association of Realtors reported sales of existing homes in Jan hit the highest level in 18 months and is now 8.4% higher than 1Y ago. Banks with exposure to retail centers should check the portfolio for women's apparel retailer Chico's, as they announced they will close about 120 stores by 2017. American Express said it will raise interest rates an average of 2.5 percentage points (to 12.99%) for about 1mm customers (of its 42mm total customers), as it adjusts to higher competitor rates. Department of Homeland Security officials told Congress yesterday that the new Cyber Threat Intelligence Integration Center (CTIIC) will help federal agencies warn US companies about pending cyber threats.